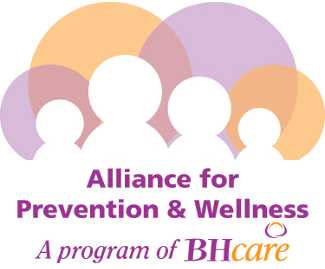 The Alliance for Prevention & Wellness (APW) provides customizable workshops for parents, businesses, schools, educators and community organizations on a variety of substance abuse and risky behavior topics. Many of our trainings and/or workshops offer CEU opportunities including CCB (CT Certification Board), CHES (Certified Health Educator Specialist), NASW (National Association of Social Workers). APW is a CEU provider for the CT State Dept. of Education. In addition, APW staff have been trained to implement various curriculums such as, but not limited to, Second Step, Project Alert, and LifeSkills. Tips is an alcohol intervention program that teaches liquor permittees and servers how to recognize signs of intoxication, prevent alcohol sales to minors, and intervene with patrons who are already intoxicated. APW’s TIPS certified trainers work with local liquor permittees to ensure compliance with the law, encourage knowledge of the penalties and fines associated with underage drinking, and to train staff in ways to prevent disaster. At the same time, APW works with local law enforcement to help enforce regulations regarding underage sales, ensure that vendors are complying with the law, and much more. Contact APW at 203-736-8566 for more information. SBIRT stands for Screening, Brief Intervention, and Referral to Treatment. It is a well-established, evidence-based, comprehensive public health model used to address selected health behaviors, such alcohol/other drug (AOD) use within a population. SBIRT is a screening too (brief questionnaire)l used in both medical settings (emergency departments, primary care physicians) and educational environments (middle and high schools) is used to help prevent students from starting to use substances, identify problem use, and reduce risk. Brief advice on the health effects of substances is provided within the context of an informal conversation. APW staff are trained facilitators in SBIRT and can train staff to implement in their own setting, or, assist with student screenings at their site.